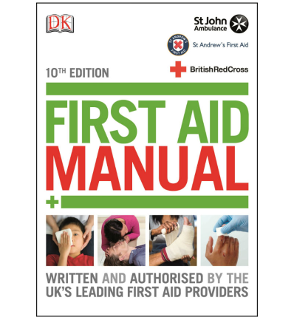 The new 10th edition of the First Aid Manual came out earlier in the year, it is the UK's only fully authorised First Aid guide and is endorsed not only by St John's Ambulance but St Andrew's First Aid and The British Red Cross as well. As it is the most reliable and comprehensive manual, it is used for first aid training and features step by step photographs to guide you through treating casualties and providing emergency medical assistance. Many of our customers have found this manual has helped them with voluntary work; first aid training and even to have around the home in case of an emergency, with a 5-star review rating it’s definitely an invaluable purchase to make. If you have any questions about the 10th edition first aid manual or our first aid supplies please do not hesitate to get in touch with our award-winning and friendly customer service team who will be more than happy to help on 0808 163 3704, or you can chat to them online using our LiveChat! service.